In the past 15 years, I have lived in 9 different countries. Since I follow my husband who works in the development field, I get to go to countries that most other people don't consider as travel destinations. Palestine, Armenia, Moldova, Kosovo, Tajikistan - not the glamorous places. But this is how you met wonderful people, get to see dramatic sights, and spot the little daily things that seem foreign and strange to citizens from first world countries. I wouldn't trade this life for anything. Every photographer worth her salt has a photography project. Or two. Or three. Projects are fun and they have a specific purpose: they are invaluable learning tools. They teach to observe mindfully, to see potential where nobody else sees it, they challenge one's technical skills, they teach patience. Projects can elevate a photographer to fame - think of Jaime Moore and her wonderful series "Not Just a Girl" or Jason Lee's creative photos of his two daughters. But the main purpose of a personal photo project is not fame, it's learning. I've done a Project 365 in 2013 where I shot a photo for ever single day of the year. I loved it and I hated it. Sometimes, just thinking of taking a picture is too much - when you are sick, when you are stressed, when you just shot 1000 images at a wedding. In 2014, I joined a group on Facebook that does a toned down version - a prompted weekly project by My Four Hens Photography. The level of professionalism and creativity in this group is extremely high and I'm forever in awe of the talent I see there. My latest personal project is the Barbie Leg. It started out harmlessly -- I threatened my kids that they should clean up the Barbie leg that kept appearing in strange places. If not, I would photograph it and post the result on Facebook. Which I did. 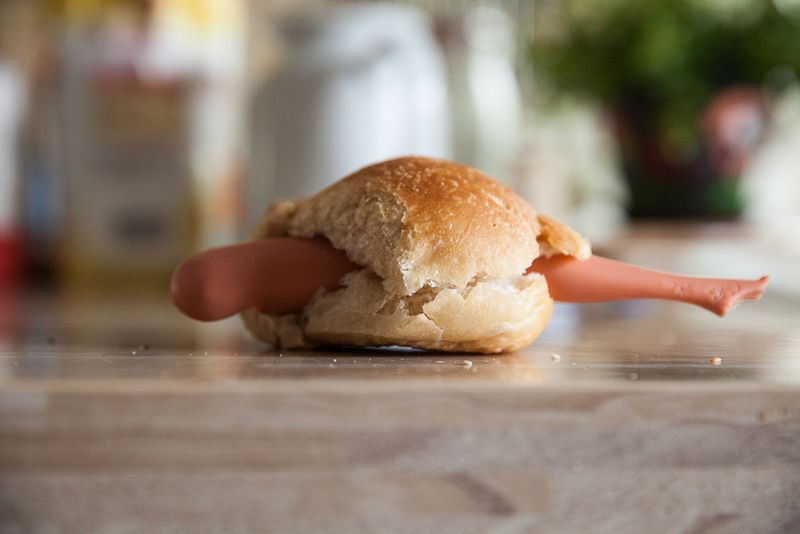 My kids thought this was the funniest thing ever and took to hiding the Barbie leg in strange places for me to find. 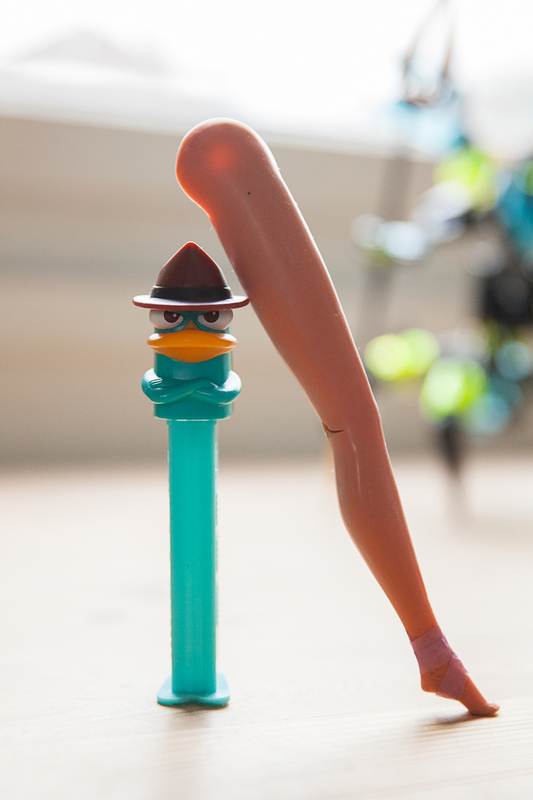 My friends thought the series was hilarious, so the Barbie Leg acquired a capital "L" and a Facebook page. The Barbie Leg got lost, it strayed off the path to Tajikistan, but it always turned up again and is still being hidden and displayed in odd places. Is it art? I don't know. But it's fun. Expats travel a lot and they take a lot of photos. Over the years, I've been approached by so many people for photo and camera tips that I decided to put it all in one place and offer a workshop for my fellow expats moms. These are women-only classes. We will be learning about composition, light, focus, and post-processing. We will also learn how to organize your photo library efficiently, how a workflow will help you stay on top of your photos, and what to do with the images once they are finished in your computer. Because expats are constantly on the road and usually very busy, I have divided the content into four-week segments with one lesson each week. There will be homework and a Facebook discussion group. You will also get access to online content where you can deepen and recapitulate the weekly lessons and you will receive a workbook which I created for you. Each module is a 149 Euro investment. If you choose more than one module, you get a 20% discount on your purchase. Beginners: This class is for those who have been taking photos before but feel ready to move away from the automatic settings on their camera. We learn about the basics like the exposure triangle, correct white balance, composition, and various other topics. A copy of Adobe Lightroom will be necessary. I usually keep the size of the class to around five women per class in order to be able to focus on each student. You should be able to make it to all or most classes in order not to miss important content. Advanced: If you are very comfortable shooting in manual mode and want to delve further into topics like shooting in full sun or low light conditions, how to use your flash and artificial lighting, and if you want to learn how to use Photoshop in addition to Lightroom, choose this workshop. Thank you for your interest. Classes will start in March 2018. I will be in touch with you shortly!